Bert Jansch, the highly acclaimed and hugely influential Scottish guitarist with Pentangle, has passed away. He was 67. Neil Young described Jansch's acoustic guitar playing as, "on the same level as Jimi Hendrix." Young's song "Ambulance Blues" was clearly influenced by Jansch's "The Needle of Death", which they performed together at the Bridge concert in 2006 (see below). Led Zeppelin's Jimmy Page wrote "Black Mountain Side" using Jansch's instrumental "Blackwater Side", a traditional folk song. 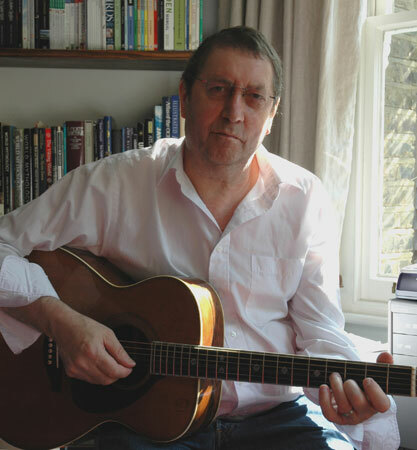 With deep regret, Pegi and I acknowledge the passing of Bert Jansch. Pegi and I were lucky to play with him on all of our shows for the last couple of years. He is a hero of mine, and one of my greatest influences. Bert was one of the all time great acoustic guitarists and singer-songwriters. Our sincerest sympathies to his soulmate, Loren. "He completely reinvented guitar playing and set a standard that is still unequalled today. Without Bert Jansch, rock music as it developed in the '60s and '70s would have been very different. You hear him in Nick Drake, Pete Townshend, Donovan, The Beatles, Jimmy Page and Neil Young. There are people playing guitar who don't even realize they've been influenced by him one step removed." Bert Jansch, the acclaimed Scottish guitarist with Pentangle, most recently toured on Neil Young's "Twisted Road" Concert Tour. Reviews of Bert were warmly received. I hope that you appreciate and realize how lucky you are to hear Bert Jansch …When was 18, I was living in a flop house in Toronto. It was just a place i lived upstairs, with a folk singer girl and and about three or four other friends- John Kay from Steppenwolf, and a few other people - and we used to listen to Bert's records all the time, smoke some weed and stay up all night. We only had one record, so we got to know that one real well. So it's a real pleasure to play on the same stage as him. Bert Jansch, folk icon and pioneering singer-guitarist, has passed away at the age of 67 after a long battle with cancer. 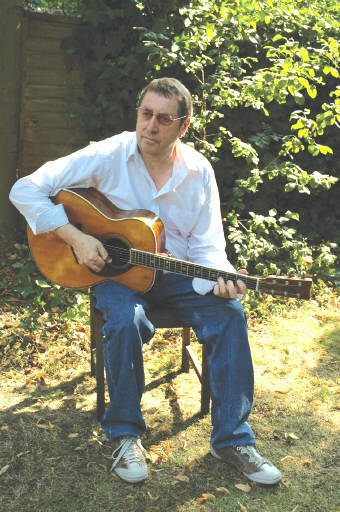 Born in Glasgow in 1943, Jansch became infatuated with the guitar at an early age, immersing himself in the sounds of Lonnie Donegan, Big Bill Broonzy, Woody Guthrie, Brownie McGhee and Pete Seeger. He cut his teeth at Roy Guest's Howff Club in Edinburgh before emerging with his self-titled debut LP in 1965. Alongside Davy Graham, Jansch became the driving force behind the mid-'60s folk boom and his idiosyncratic playing style would go on to influence generations of guitarists from Jimmy Page and Neil Young to Johnny Marr, Bernard Butler and Graham Coxon. In 1967 he formed folk super-group Pentangle with long-time compadre John Renbourn. The band enjoyed enormous success with albums such as Basket Of Light and Solomon's Seal before splitting in 1973. Jansch's solo career continued throughout the ensuing decades and his final, 23rd studio album, The Black Swan, appeared in 2006. A humble, reluctant star, his songs were responsible for re-defining the parameters of folk music. And his guitar playing was nothing short of magical. MOJO's thoughts are with Bert's family and friends. He will be sorely missed. A comprehensive look back on Bert Jansch's life and times will appear in the next issue of MOJO. It's always very sad news when a musical icon such as Bert passes away. I had the opportunity to see him live about a year ago during the Twisted Road tour, and his skill as a guitarist and songwriter are unrivaled. His music and legacy will live on. Of all these famous people paying homage to Bert's accomplishments, after all Bert had been through in life, the ups and downs, doesn't it give you chills knowing it was Neil (and Pegi) Young who reached out to this man at the end of his journey here on Earth? Wow - rest in peace Bert. Thank you Neil for bringing him back out on the road for those of us fortunate enough to attend TR. Remembering fondly the time I saw him at London's 12 Bar back in '94 or '95. I didn't really know his music at the time, but I had heard the name and saw the gig listed in Time Out, so I thought I'd check it out. What I witnessed was an evening of mesmerizing music. And that is what will live on -- his beautiful music. I can't tell you what a huge loss to the world of music Bert's passing really is. As a guitarist for the past 35+ years, two of my biggest influences were Neil Young and Jimmy Page. Well, it didn't take long to discover the man who had been a huge influence to both of my heroes, and I found Bert's playing to be amazingly emotive and uniquely expressive. Every time I hammer down on a note in the midst of a chord, I will think of Bert. Each time I hear certain songs by Neil or Jimmy, I'll hear Bert's sound reverberating through the ages. He will be sorely missed. So very sorry to hear this - another great singer/songwriter has left this world who cannot ever be replaced. His music was from the soul, his melodies and lyrics reached into your heart and made you feel, made you cry, and made you smile. He will be greatly missed, the loss of this great man cannot be underestimated. His music will live on in the hearts and minds of so many. Condolences to his family and friends, including of course Neil and Pegi. Oh, it was so sad to read the news of Bert's death! I'm thankful that he is no longer suffering, but is at rest now. How thankful I am to God for Bert's life and his heart, which he poured into his music! What a great artist...truly unreplaceable! I am also thankful that I got to sit in his presence and hear him perform live at Lincoln Center this past April...it seems so long ago! How thankful I am also to Neil for his making available the opportunity to experience Bert and his music in the best way possible! He was truly a special guest! I'm also thankful that Bert's music will be able to continue to be heard for generations to come!!! Oh Marian! So glad you dropped by, I remember how much you were moved by his music when you saw him. How he chose to live with his cancer says so more about the respect he'd come to have for this very rare gift of making beautiful music. This gift of making music comes at people like a curse, doesn't it? At first, it makes them do crazy things. It can bring out the worst and the best in their humanity as quick as a light switch. For some, it drives them to insanity. It is through Bert's living with cancer we discover how much he valued his gift for music & how it sustained life in him. Even when he was staring straight into that black hole of ugly cancer, he chose life. He chose to play music. To have that much faith and focus in life and all the good things it offers is inspiring to me. He is with God now, Marian. A person who passes through our life as quickly as he entered leaving even the tiniest message about respecting God's gift after going full circle with it is certainly with God. It was a painful journey for him, Marian, but in the end like you said, he is suffering no more. He is with God. Thank you for your tender words of comfort. I have always believed that music is one of the greatest gifts that God gives us. My earliest memories are of listening to music on the radio (Elvis! ), and music has been my ongoing passion in life....especially Neil's music and lyrics! Listening to the Dreaming Man album last night so warmed my heart! I'm always grateful to Thrasher and to everyone that shares words of peace. Marian & MNOTR - as sad as Bert's passing is, it's the sentiments that you guys expressed which make the sadness bearable and give us hope. To know that Bert's music will live on -- hopefully for a long time -- similar to the traditional Scottish tunes he was influenced by, is truly comforting.